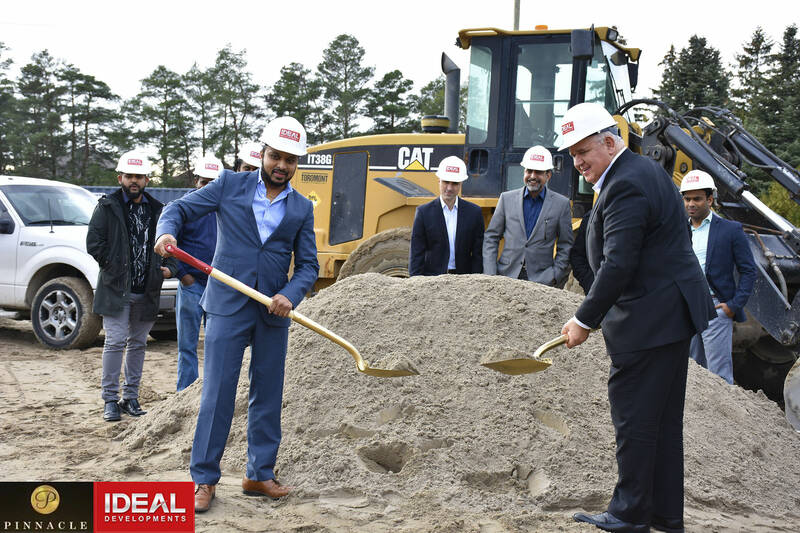 Ideal Developments knows their business. They know what to build and where to build it. To that end, they recently broke ground on a community of luxury, custom homes in one of Markham’s fast-growing neighbourhoods. And Mayor Frank Scarpitti was by their side. Markham has established itself as one of the province’s most desirable municipalities in which to live. Recognized as a key technology hub and the country’s most ethnically-diverse city, it has become THE location for young professionals and families. Scenic walking trails, access to quality schooling, and proximity to shopping and cultural centres have attracted a wide range of homebuyers and developers. 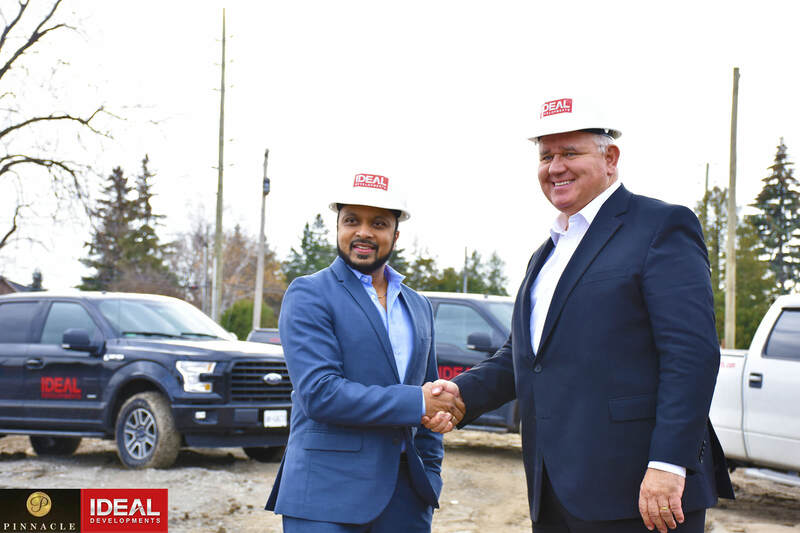 With construction underway at Ideal Development’s Pinnacle on 14th Avenue, and with the support of Mayor Frank Scarpitti, Markham is also gaining a reputation for luxury custom homes built in prestigious neighbourhoods. At Pinnacle on 14th, the developer’s commitment to outstanding design is evident. From its Lafitt stone and premium clay brick exterior, to the Limestone precast detailing, Pinnacle’s exterior inspires in the French Chateau style. High quality interior finishes including soaring ceilings, gourmet kitchens and spa-inspired bathrooms mean these homes will stand the test of time. For every home sold by Ideal Developments, a donation is made to a family in need in a developing country. To learn more about Ideal Developments’ current and future communities, visit the website www.idealdevelopments.com.